As 2017 gets underway, it seems clear that a theme that will dominate many headlines this year is the “fake news” meme being leveled at the alternative press by a freaked-out establishment seeking to keep the masses misinformed while silencing growing waves of dissent that could make the 1960s look like the Victorian era. The articles by Dylan Charles, Brendan Murphy and Jon Rappoport shared recently here on Snooze2Awaken speak directly to this absurdly obvious power play straight out of Orwell on the part of the Cabal. 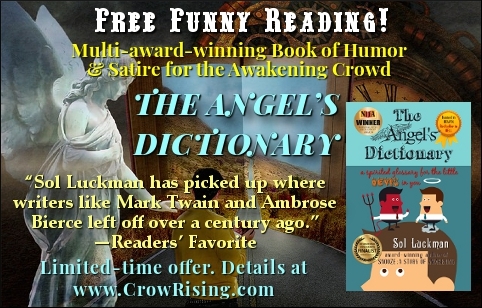 This year I’m choosing to do my part in liberating the mind of humanity from elitist brainwashing by publishing a book of humor and satire, THE ANGEL’S DICTIONARY. You can read the Introduction to this Spirited Glossary for the Little Devil in You here. As a supplement to my new book for all you closet satire junkies out there, I’m also offering a Devilishly Clever Word of the Day free to your inbox. Below, I’m taking this opportunity to share a list of over 100 alternative news websites (originally found here) that provide a multitude of perspectives with many differences in opinion but one thing in common that is emphatically not shared by the mainstream news: a desire to get at the truth. Finally, speaking of truth-telling, I encourage you to support what may well be a watershed moment in the whistleblowing movement by helping launch the Global Freedom University. 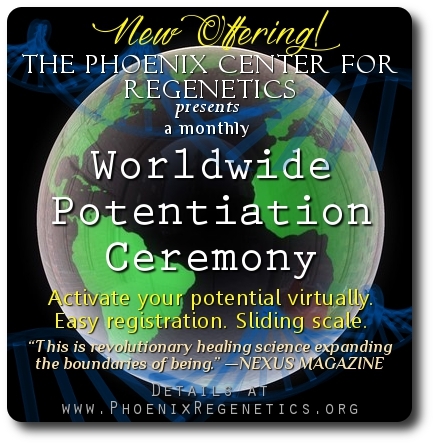 Sol Luckman is a pioneering ink painter whose work has been featured on mainstream book covers and award-winning author whose books include the international bestselling CONSCIOUS HEALING and its popular sequel, POTENTIATE YOUR DNA. His visionary novel, SNOOZE: A STORY OF AWAKENING, won the 2015 National Indie Excellence Award for New Age Fiction. SNOOZE further proved its literary merit by being selected as a 2016 Readers’ Favorite International Book Award Finalist in the Young Adult-Coming of Age category and receiving an Honorable Mention in the 2014 Beach Book Festival Prize Competition in the General Fiction category. 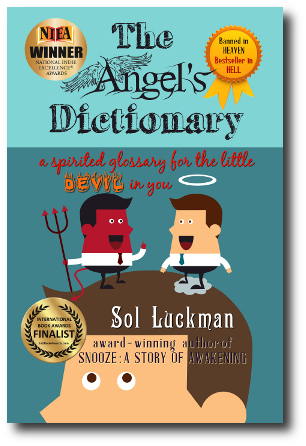 Sol’s latest book, THE ANGEL’S DICTIONARY: A SPIRITED GLOSSARY FOR THE LITTLE DEVIL IN YOU, reinvigorates satire to prove that—though we might not be able to change the world—we can at least have a good laugh at it. Then again, maybe laughter can transform the world! 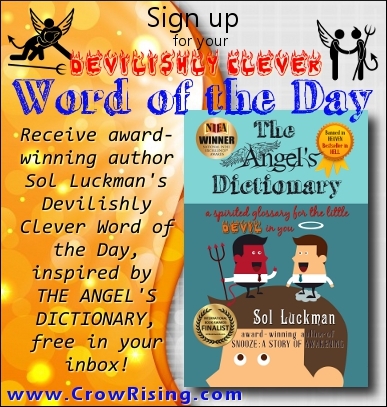 Sign up to receive Sol’s Devilishly Clever Word of the Day free in your inbox. Follow Sol on Facebook here and learn more about his work at www.CrowRising.com. Some recommended real news sites.. I can’t say I agree 100% with all, that would be difficult! But all good honest info.